Many of us love the winter holidays, and I don’t think I am alone when I say that certain Christmas themed movies only add to the celebration. But, as we prepare to clock out from the places where we work for that much-anticipated vacation including watching/re-watching nostalgic Christmas flicks maybe we can learn a thing or two from them about how to handle work during the holiday season. As an HR consultant sometimes, it’s hard not to see workplace issues … even in films. Two Christmas movies really stand out when it comes to what I consider a real HR crisis. National Lampoon’s Christmas Vacation has been aired on TV at least once every December for the last 28 years … that’s right … (feeling old yet?) 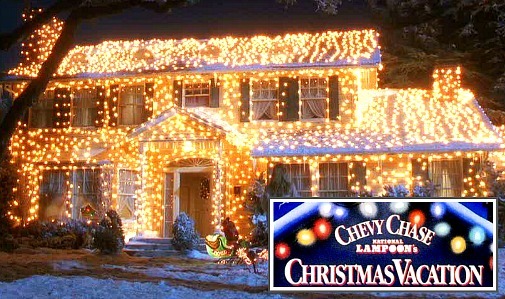 and if you’ve been around long enough then you’ve probably laughed along with millions who can relate to the loveable but hopelessly bumbling, Clark Griswald. A man who just wants the perfect Christmas for his family, which includes a much-needed Christmas bonus from his boss to cover the cost of a swimming pool that he has already paid for. When that bonus turns out to be a coupon instead of a cheque, disaster ensues. On the screen, it’s funny to watch Clark have one of his legendary meltdowns, which includes the kidnapping of his boss. I couldn’t help but wonder — is the premise of an employee expecting a large Christmas bonus something that today’s audience can relate to? These days, in most organizations, management usually offers a simple celebration in the office, and/or a token gift. However, that doesn’t mean there aren’t relatable issues when it comes to major disappointments involving organizations during or before employees’ holidays. For instance, replace the Griswald’s ‘Christmas bonus debacle’ with that of a boss suddenly reneging on a promise of an employee’s vacation time. Or, an employee expecting an upcoming promotion in the New Year but then after the holidays they find out they were passed over and someone else claimed that coveted position. In this regard, it is still important to be mindful of not becoming another Clark Griswald by exceeding your budget and/or making expensive plans, or committing to trips or other expenses when you don’t have the money at hand. The same goes for assuming you are about to land a major contract, or client after the holiday break and so you splurge and overspend with the false comfort your work will help you recover those costs. Getting Scrooged by your boss? There is a plethora of articles, books, and blogs about toxic workplaces and bosses, but they can also be found on the screen. 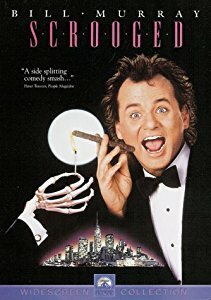 One such movie is Scrooged. Here we have the president of a successful TV station whose only purpose in life is to get richer by ruthlessly working those around him into the ground. Not only does he not care about his employees, but he’s also willing to fire a loyal worker without a single reservation even on Christmas Eve. Sounds like the perfect boss/villain made just for cinematic effect, right? Unfortunately, bullying bosses do exist. Watching Bill Murray play that cruel, exacting role of a corporate scrooge that in the end is blissfully reformed by the ghosts of his Christmas past is a nice ending. But, what about the people who live beyond the happily ever after credit reel … you know, in reality? This made me think about employees who are out there dreading the approaching holidays because it will mean a heavy increase in their workload and social life. Some companies are trying extremely hard to meet financial milestones before December 31st and they expect their employees to prioritize those targets (e.g., at Amazon and an even more extreme version in Japan). Even if an employee is lucky enough to have a great HR department, in most cases it’s still very intimidating to try to negotiate fairer conditions with upper management, especially around the holidays when the financial stakes often seem higher. Need help dealing with a delicate or high-stakes career or HR issue? I invite you to contact me privately. I offer a free 15 to 20-minute initial consultation by phone. Or, if you prefer, you can contact me by email, or via direct message on Twitter, Facebook, or LinkedIn. If something urgent comes up, she’s also available by a voice or video on Magnifi, an expertise-on-demand app.